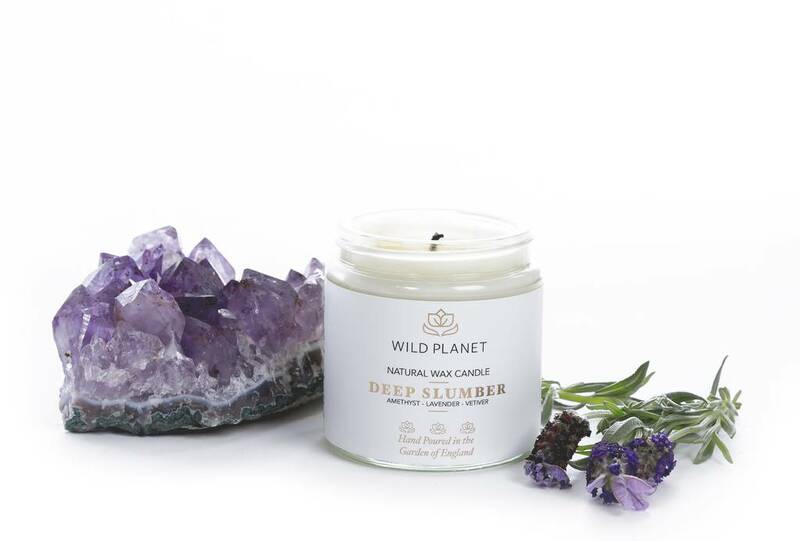 Our DEEP SLUMBER Candle Jar blended with aromatherapy essential oils including English Lavender infused with an Amethyst crystal. This beautifully scented candle would make a thoughtful gift for a new mum, a friend who is overworked or anyone who you think needs help to unwind and relax and catch up on their beauty sleep. Lovingly hand poured in our Kent studio. Once your candle has finished burning you can retrieve your crystal, wash with warm water and either carry it with you, display it or place it in a special place. Sustainably sourced soy wax, with a clean burn and a cotton wick with a natural Amethyst tumblestone. Keep stones away from small children. 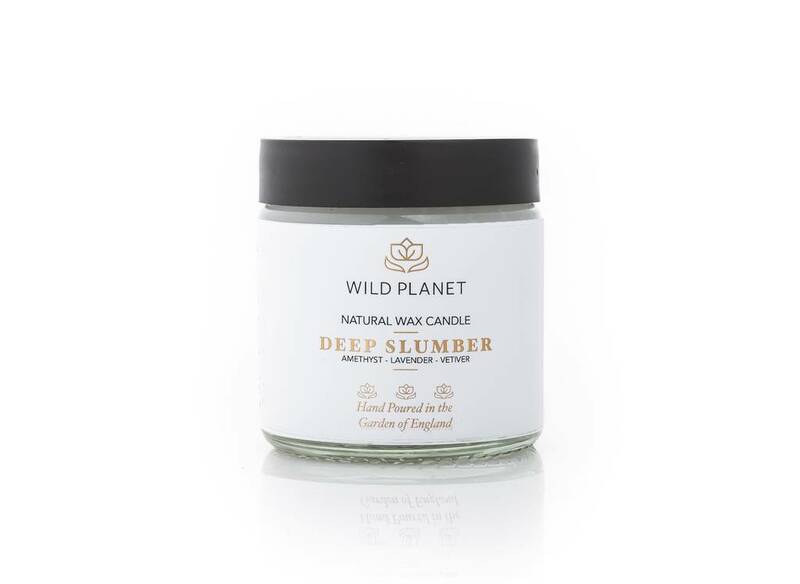 The therapeutic properties of this delightful blend of relaxing botanical oils including English Lavender, Vetiver and Mandarin, will help you unwind and have a good night's sleep so you wake up feeling refreshed and rested. This product is dispatched to you by Wild Planet.